The case of champions. 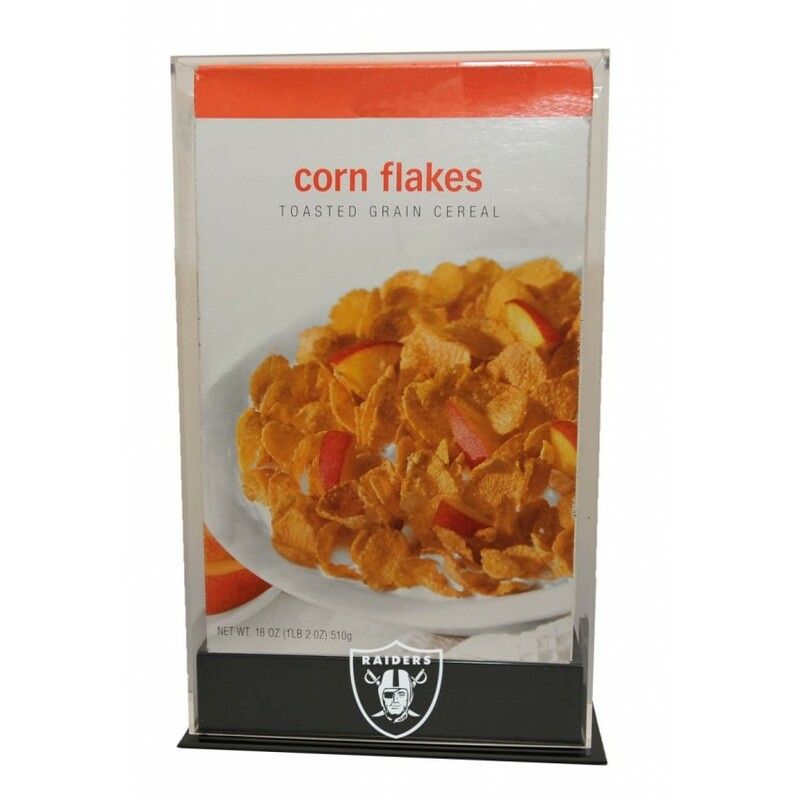 Display your 18 oz cereal box now! This case includes your favorite NFL team logo beautifully engraved on the highest quality 1/8" cast acrylic lid. Measures 9 1/4"W X 3 7/8"D X 14 3/4" H. Cereal box not included. Made in the USA. Ultimate collectors full size helmet case with mirror back and natural color framed base. Choose you.. Celebrate Peyton Manning becoming the NFL's All-Time passing touchdown record leader with this photo.. Celebrate the Indiana Hoosiers' upsetting then #18 ranked team in the country, the Missouri Tigers, .. In California and Santa Clara's 1927 duel at California, the final score was California, 14; Santa C..
Machine-Made Tufted. 100% Premium Nylon Pile. Made in the USA! Pittsburgh Steelers 10'9"x13'2" NFL T..